i have been trying to take "positive timeouts" (for myself - the concept comes from positive discipline). this "calm jar" concept comes from pinterest (yet again), and when i first saw it i thought it looked cool, but... well. actually, it must have imprinted upon me more than i realized, because then i decided that i was the one who needed it. you can use it to re-center yourself when you are in a difficult emotional spot. 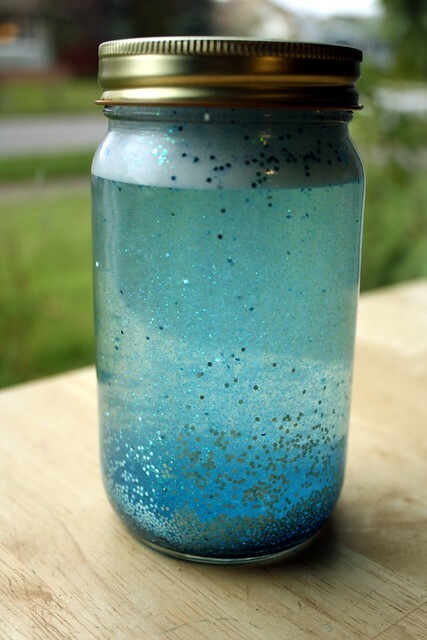 shake, shake, shake the jar, then watch the glitter sink. as it floats down, you breathe deeply and calm yourself as well. cool, right? it is actually even prettier than these photos. after searching through various techniques, i learned that you must use glitter glue (and not just glitter) to get the full effect. 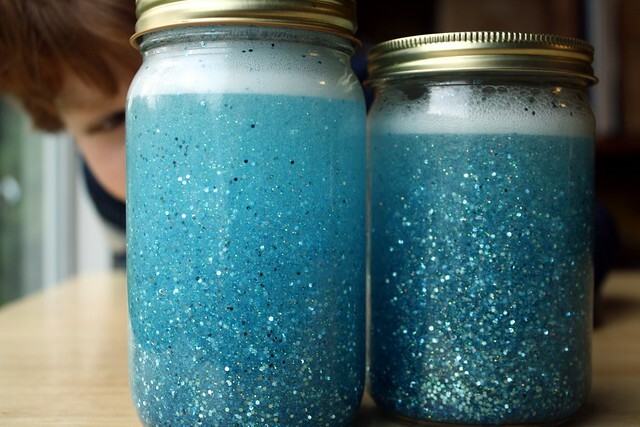 boil your water, then whisk in the glitter glue to dissolve it. 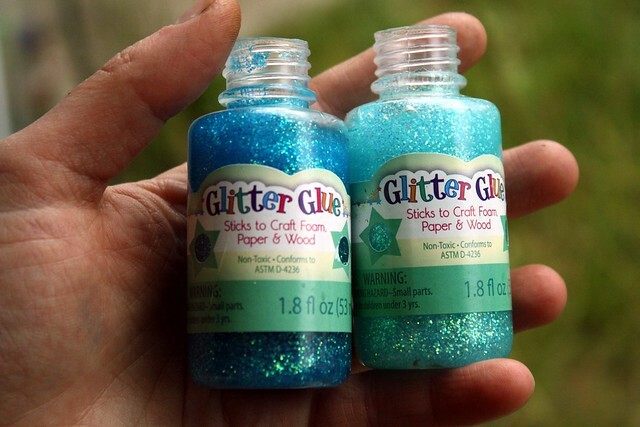 i used both bottles of glue above, and just a small amount of the full-on glitter in each of my two jars. i also tried to scrape off the extra bubblies from the top of the pot when whisking. as you can see, it still is pretty bubbly. here it is "at rest". 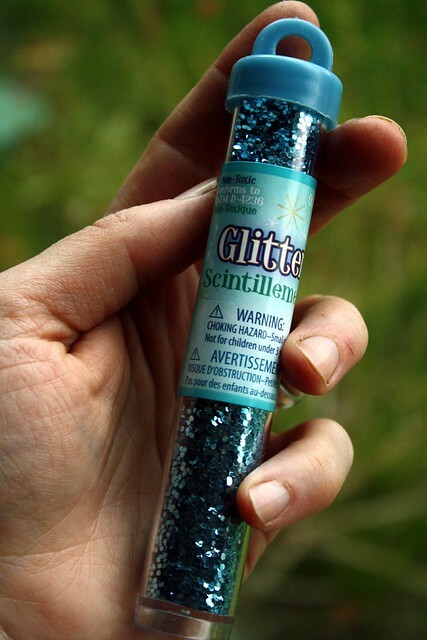 i think next time i will try it with less glitter glue. i have not yet super-glued the lid on as recommended. also, i maybe be buying the plastic jars of peanut butter for the next few go arounds, because i don't really think all that glitter on the floor would be so very pretty...or calming.